Rehan Jalali is President of the Supplement Research Foundation (www.tsrf.com). 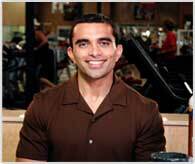 He is a nationally recognized Certified Sports Nutritionist (C.S.N.) 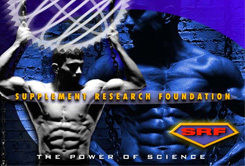 who has developed over 100 cutting edge products for the dietary supplement industry. His clients include Oscar® winning actors, Emmy® award winning TV stars, and Grammy® winning musicians. He has developed cutting edge customized nutrition and supplementation programs for actors getting ready for movie roles, musicians preparing for videos, and celebrities peaking for appearances including award shows. . Whether you're an action hero getting ready for a blockbuster film, a singer getting ready for a photo shoot, a professional athlete wanting to maximize athletic performance, or just want to get in the best shape of YOUR life, Rehan Jalali is here for you! Although he has worked with some of the biggest names in the entertainment business, he wants to help people from all walks of life achieve fitness success! Writing - Rehan's articles and monthly columns have appeared in virtually every major health and fitness magazine. It is very important to GIVE. I believe that helping others is extemely rewarding. There is so much to be thankful for--that glass is half full! Even a smile is charity! We cannot ignore the suffering of people less fortunate than us. So give what you can, you'll be happy you did!